Background: Behavioral and psychological symptoms of dementia (BPSD) affect patients’ daily life and subjective well-being. International recommendations stress nonpharmacological interventions as first-line treatment. While newer psychosocial initiatives adapted to geriatric populations based on social robot therapy have emerged, to our knowledge, no studies on differential efficacy depending on BPSD profiles have been conducted yet. 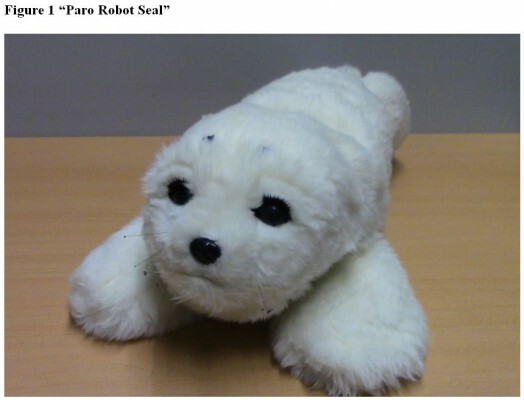 Objectives: This pilot study examined the impact of short exposure to a social robot (Paro®) on the subjective emotional well-being of patients with major neurocognitive disorder as well as its impact on differential effects for 3 BPSD profiles. Methods: Seventeen patients with major NCD with apathy (n=6), depression (n=7), and agitation (n=4) were recruited. The intervention was composed of four 15-minute individual sessions. Exposure occurred without the simultaneous presence of a health care provider. A pre–post assessment of emotional well-being was conducted with the International Positive and Negative Affect Schedule Short-Form, which measures positive and negative affectivity. Results: Overall findings showed a significant increase of positive affectivity (p=0.02). Subgroup analysis demonstrated that agitated patients reduced negative affectivity significantly more than depressed patients (p=0.03). Results also confirmed users’ overall acceptability of the robot. Conclusion: These findings support the usefulness of brief interactive sessions with the Paro robot for elderly patients with major NCD. These preliminary results encourage further research focused on brief interventions using social robotics, as well as on their specific benefits depending on the behavioral typology of patients with neurocognitive disorders.